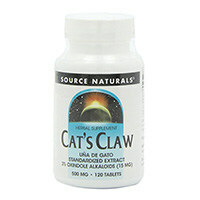 What is a Cat’s Claw supplement? 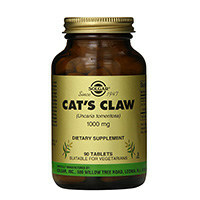 This is our list of the best selling cat’s claw supplements on the market right now. These 10 cat’s claw brands have been ranked because they dominate the e-commerce sales charts, fitness bloggers love them and they have the highest user reviews online. 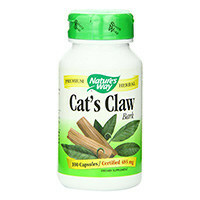 Nature’s way Cat’s Claw capsules are a premium herbal dietary supplement extracted from the inner bark of the vine. It has been standardized to contain 4% alkaloids. 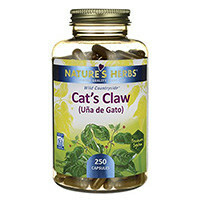 Nature’s Way Cat’s Claw plants have been carefully wild-harvested in Peru and Brazil; like all their products, these capsules have been rigorously tested and produced to certified quality standards. Contains 1455mg. of Cat’s Claw. No artificial coloring or flavoring. Contains 60 or 100 capsules. Recommended dose: 3 capsules, 2-3 times a day, daily. Solgar offers an innovative way to present this dietary supplement, instead of having the product in capsules, they have made it into an easy to swallow tablet. It is made of the inner bark of the vine and have no more added ingredients such as sugar, salt, yeast or dairy products. Solgar’s Cat’s Claw tablets have no artificial preservatives, flavors or colors. Contains 1000mg. of Cat’s Claw. Sold in bottles containing 30 or 90 tablets. Recommended dose: 1 capsule up to three times a day, daily, preferably with a meal. It is a dietary supplement made from the bark of Unicaria Tomentosa. Solaray ensures that all the ingredients are natural and have no added coloring or artificial flavoring, their encapsulation method offers rapid disintegration ensuring quicker absorption. Contains 500mg. of Cat’s Claw. Recommended dose: 2 capsules daily. 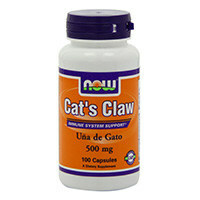 These capsules are made from Cat Claw Bark powder obtained from the Peruvian Amazon Rainforest and have no further additives such as coloring or flavoring. The product has no added preservatives, fillers or flowing agents, ensuring that the only active ingredient is the one being paid for. Organic product, no solvents added. Sold in bottles containing 90 capsules. Recommended dose: 1 capsule, 1-3 times daily. Now Foods ensures that the herbs are grown under strict health and safety standards and guarantees that no harmful additives are added to the capsules. Sold in bottles of 100 or 250 capsules. Recommended dose: 2 capsules, 2 to 3 times daily with a meal. Recommended daily dose: 1-3 tablets twice daily with a meal. 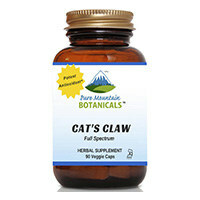 It is a hypoallergenic, vegan dietary supplement derived from the vine of cat’s claw. The extract comes from the inner vine bark and has been standardized to contain the appropriate amount of oxindole alkaloids. Contains 450mg. of cat’s claw. Sold in bottles of 90 or 180 capsules. Recommended dose: 1-6 capsules a day in divided doses, with meals. 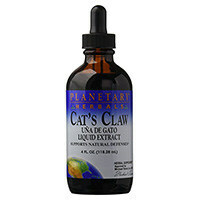 Planetary Herbal’s Cat’s Claw supplement can be found in two presentations: as tablets or as a liquid extract. Planetary Herbals guarantees that the Amazonian ecosystem is preserved when the vines are harvested by preserving the root for future growth. Tablets contain 750mg. of Cat’s Claw bark. Liquid extract contains 1Ml. of Cat’s Claw bark extract. The recommended dose for tablets is: 1 tablet three times a day between meals. For liquid extract is: 45 drops, 2-3 times daily between meals. Tablets are sold in bottles containing 90 tablets. Liquid extract contains 4fl oz. The liquid extract also contains Grain alcohol (70%) and purified water. 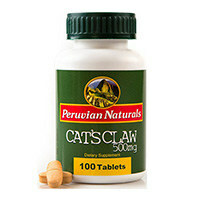 Peruvian Naturals Cat’s Claw is made with organic Cat’s Claw bark and compressed into tablet form. It has no added artificial coloring or flavoring and it is 100% gluten-free. This product is manufactured in Peru. Sold in bottles containing 100 tablets. Recommended dose: 1-3 tablets daily. This dietary supplement contains tested quality active compounds and is grown in the highlands of the Peruvian Amazon. It is an herbal supplement with added Bioperine. The preservatives in this product are natural. Contains 1.67mg. of Black Pepper (Bioperine). Sold in bottles containing 250 capsules. Recommended dose: 1 capsule, 3 times daily. A Cat’s claw dietary supplement is made out of the vine of the Cat Claw plant, commonly known as “Uña de Gato”, it has been used in traditional Peruvian medicine for over 2000 years. There are two kinds of Cat’s Claw: Unicaria Tomentosa and Unicaria Guianensis. Both types are used for the same purpose; however, Unicaria Tomentosa is the type more commonly used in the U.S for dietary supplements. In Inca medicine, the uses of Cat’s Claw ranged from contraception to the treatment of viral infections. According to the National Center for Complementary and Integrative Health, there are few side effects linked to the use of such supplements though they do recommend that pregnant women, or women who are attempting to become pregnant, discontinue its use immediately, as it used to be used to prevent and abort pregnancy. It should also be discontinued if lactating. 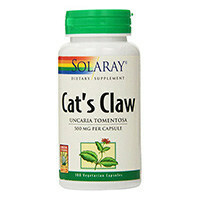 The most important thing to look out for in a Cat’s Claw supplement is the manufacturer. Making sure that there are no additives in the pills or capsules will ensure that the product will work effectively and without unexpected results. A good Cat’s Claw supplement is not necessarily very expensive, it is the quality of the herbs that matters so making sure that the herbs are grown under the appropriate conditions is vital. Another key factor for choosing the right supplement is the percentage of oxindole alkaloids, since these are the active ingredients that have been linked to the health benefits listed above. As with all supplements, it is important to check Cat’s Claw interactions with medications and allergies to avoid damaging one’s health. It is advisable that a health professional is consulted before taking any dietary supplement to make sure that it is safe. People with autoimmune diseases, skin grafts, tuberculosis or waiting to receive an organ transplant should not use Cat’s Claw because of its effects on the immune system. Those with low pressure should also avoid taking any supplement containing Cat’s Claw. Do not take Cat’s Claw while undergoing chemotherapy. There are no studies concerning the use of Cat’s Claw in children, this means that it is not known whether it is safe to consume. Never use a Cat’s Claw supplement on a child unless prescribed by a medical professional or doctor. It is always advisable to ask a doctor about dosages, no matter how natural the product is. The Top10Supps team has over 10 years of experience in navigating the online supplement market. We seek out and present you some of the most popular, best selling and highest reviewed supplement brands you can purchase. Find out more about us or if you wish you can contact the editor about this article.